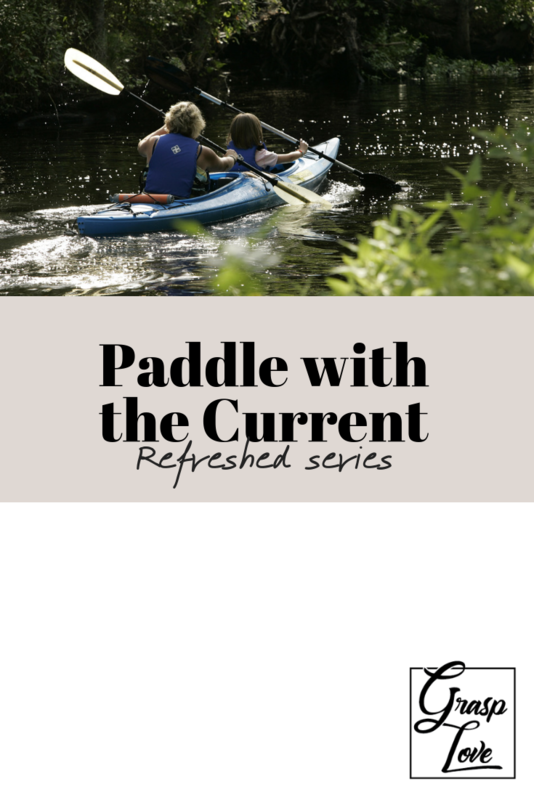 Have you ever had to paddle with a current? Do you remember what that feels like? I’ll never forget the day I got to kayak among some mangroves with family. It was a beautiful day, not a cloud in the sky. We kayaked for a while before we ended up in a very narrow section of water, right in the middle of the mangroves. We were moving forward, but it seemed we had to paddle harder and harder as we got further along. That’s when we realized that we were having to paddle against a small current in the middle of the mangroves. We had been paddling for so long without this kind of resistance that it took all our strength to get out of that curvy, narrow, mangrove section of water. Life with God can be this way, too. God has given us each a mission, and He is working behind the scenes by setting up the current of our lives. When we paddle with His current, we are ushered into our destiny. But if we resist His current, we may end up stuck, tired, or right back where we started. Notice the work of this shepherd: He provides (I lack nothing), He makes the sheep rest where it’s safe (He makes me lie down in green pastures); He leads, He refreshes, and He guides. This is a very Good Shepherd. He cares for His sheep and makes sure His sheep are safe. This is how God cares for us. He provides everything we need, and I don’t just mean material things or financial things. He also provides us with peace and joy and safety. He gives us rest – real refreshment. But we have to surrender to Him and His will in order to experience His expert shepherding skills. How will we be provided for if we don’t ask God what we need, and look for it ourselves? How will we be led to moments of rest in our lives when we don’t ask God to lead us? How will we be refreshed by God when we look for refreshment in vacations, spa days, or Netflix? Vacations, spa days, and Netflix aren’t bad things, but when we find our rest in them instead of God, our refreshment only lasts a short while. With God, however, you are refreshed in the middle of the relaxed moments of life and the difficult moments of life. We must be willing to take a step of faith and surrender to God’s current. He knows what He’s doing. He knows the future. He is in control of every element of our lives. Most of all, He knows what is best for us and that’s what He wants us to experience! How is your paddling these days? Are you paddling in line with God’s current, or are you letting the world’s resistance take you further and further away from your best life? Is there an area in your life that you haven’t gone to God about? Is there an area in your life that God has already instructed you about, yet you’re not willing to obey? Why the resistance? It’s okay to have questions – our faith walk can be a struggle as we fight the flesh and feed the Spirit. However, there comes a moment where you may not have or be given every answer to every question, yet you can step out in faith and keep paddling! 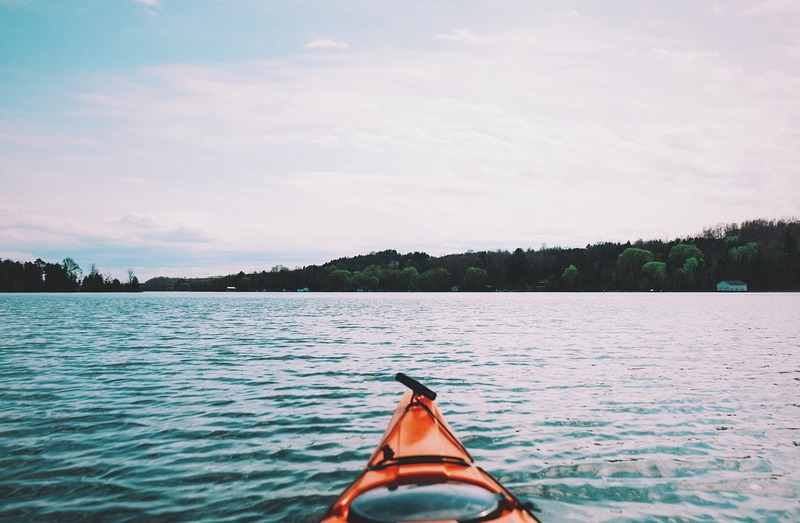 In this life, there is plenty of resistance in the kayak of life – the world resists the ways of God or the people of God, and we resist God’s will and fight to do things our way. But the best current to follow is God’s current. God’s current is not only leading you forward, but leading you to places of rest. You don’t have to worry about a single thing when the Good Shepherd is your shepherd, and when God’s current is your current.